Of those that responded, 62% favoured Maduro's government continuing in office, while 33% of respondents favoured the opposition taking over reins of government. The margin of error for the survey is ± 2.7%. For several months, shortages in basic goods and queues for subsidised products have been a concern for many Venezuelans. Maduro has accused opposition sectors and private enterprises of engaging in an economic war to destabilise his government and pledged to act against hoarding and speculation. 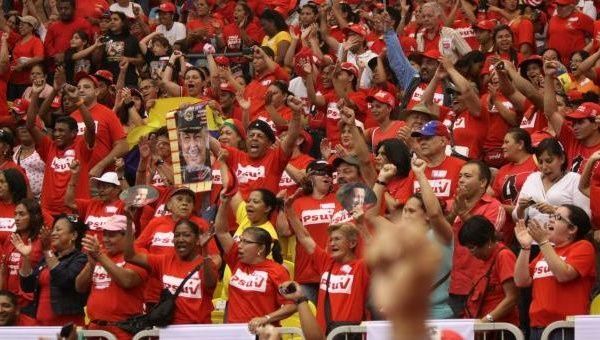 On June 28, the PSUV held primary elections for the party’s candidates in parliamentary elections set for December. The PSUV has sought to promote inclusiveness in the primaries, especially among women and youth. Only 15% of candidates were over 50 years old and more than half were women. More than 3.1 million people took part in the primaries across the country, and elected 98 people from 1162 candidates. Of those elected, about 30% were women.